OPP east of Ottawa have charged a man they allege was impersonating a soldier while fundraising for his cadet organization nine days ahead of Remembrance Day. Ontario Provincial Police east of Ottawa have charged a man they allege was impersonating a soldier while fundraising for his cadet organization nine days ahead of Remembrance Day. OPP officers spotted a man in Alexandria, Ont., on Friday afternoon, soliciting funds at multiple addresses while wearing what appeared to be a military uniform, Stormont, Dundas & Glengarry OPP said in a news release issued Tuesday. The OPP detachment's spokesperson, Const. Tylor Copeland, said the uniform included combat fatigues, a beret and various patches that appeared to come from different military organizations. The organization the man was soliciting funds for had to do with cadets and was started by the man, Copeland added. The OPP officers investigated and determined the man wasn't authorized to wear the uniform. A spokesperson for the Department of National Defence confirmed Tuesday that it has no one with the man's name in its records. 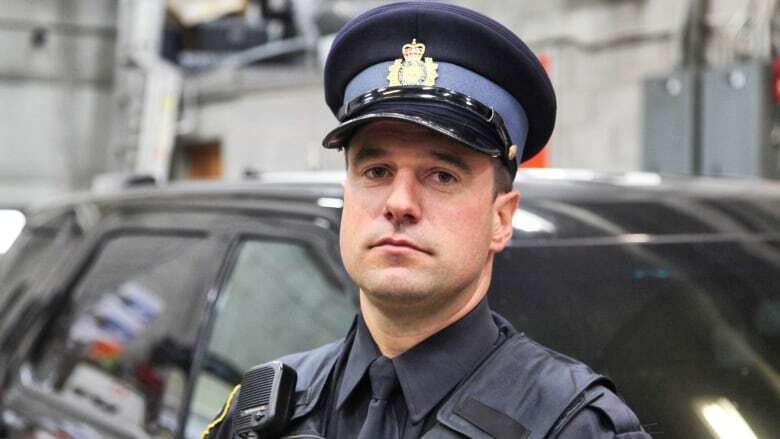 The 47-year-old man from North Glengarry, Ont., which includes the community of Alexandria, was charged with unlawful use of a military uniform under section 419 of the Criminal Code. It bans people without authorization from wearing "a uniform of the Canadian Forces or any other naval, army or air force or a uniform that is so similar to the uniform of any of those forces that it is likely to be mistaken therefor." His next court appearance is scheduled for Dec. 12. Alexandria is about 100 kilometres east of Ottawa. 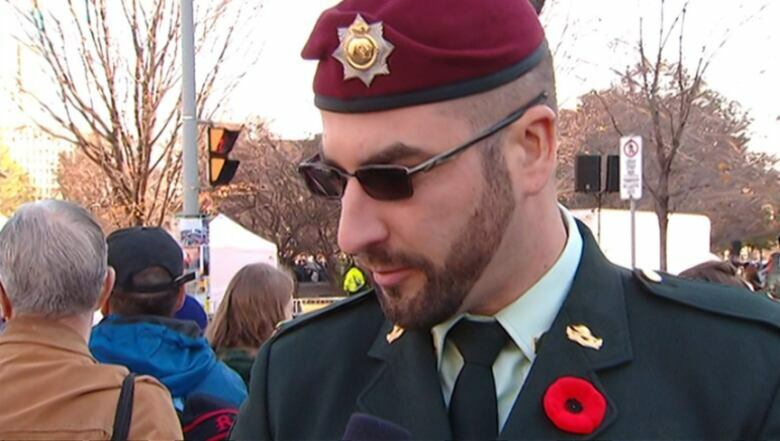 A western Quebec man drew national attention to this law when he was charged and eventually pleaded guilty to wearing a military uniform and medals to the 2014 Remembrance Day ceremony in downtown Ottawa, despite never having been a member of the military.